Herman Sellers Gough Furs has been known throughout Canada since 1880 as one of the largest and finest fur retailers. The HSG reputation in Canada is considered by many the best in fur quality, service and value. HSG Furs offers a vast array of furs, leathers and accessories. The HSG collection includes both the latest in fur fashions as well as the classics and designer furs. HSG Furs is also home to a fine selection of men’s merchandise. 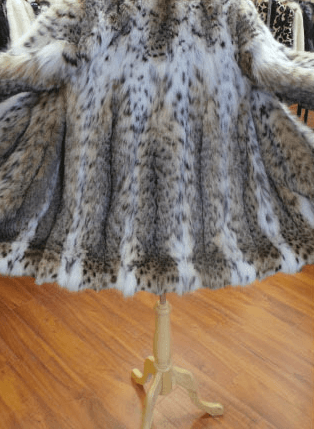 We have our own Master Furriers within our state-of-the-art fur vaults and factory. Work is undertaken by our own skilled craftsmen. We offer storage, cleaning, repair and restyling, insurance and monogramming services. Our philosophy is to provide a friendly and comfortable setting to learn about furs. To help each individual choose a fur that best fits their unique lifestyle. Finally, we wish to provide all of the services and guidance in maintaining each fur to its fullest. We recently partnered with Fashion Magazine this holiday season to focus on showcasing the growing trend of fashion and food sustainability in Toronto! Take a look at how we are rethinking fashionable furs while staying conscious of how we affect nature. We are members of the Retail Fur Council of Canada and the International Fur Federation. Come and visit us and view the fabulous range of furs, shearlings and accessories in today’s latest styles.